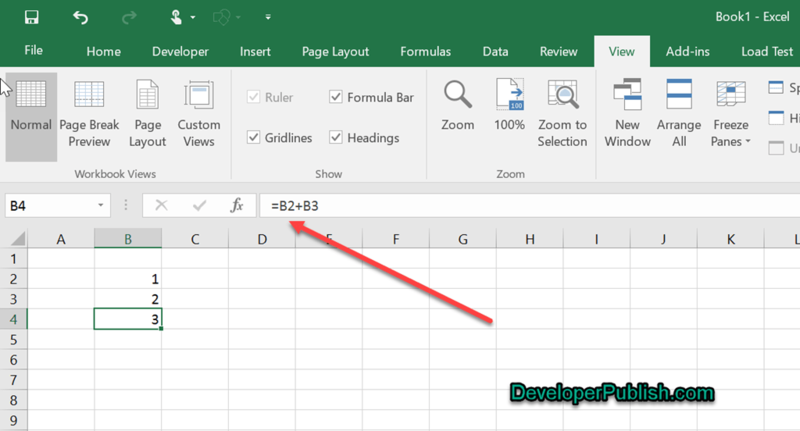 Formula bar is one of the nice feature in Excel to display the formula and helps when editing the formula in a cell. There might be situations when you want to hide the formula bar in Microsoft Excel 2016. 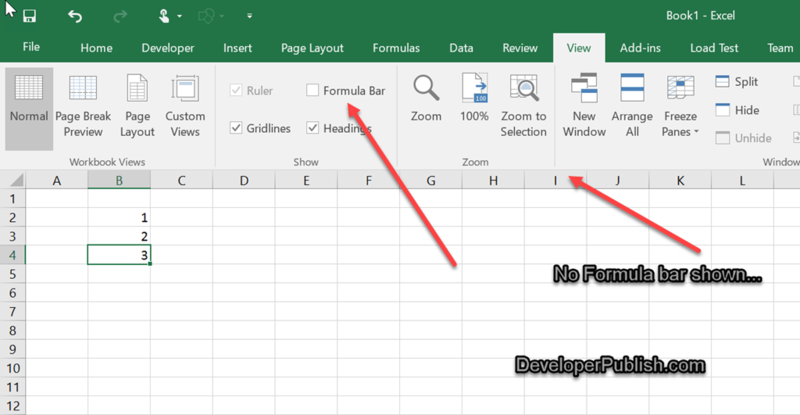 There are couple of ways in which you can hide the formula bar in Microsoft Excel. 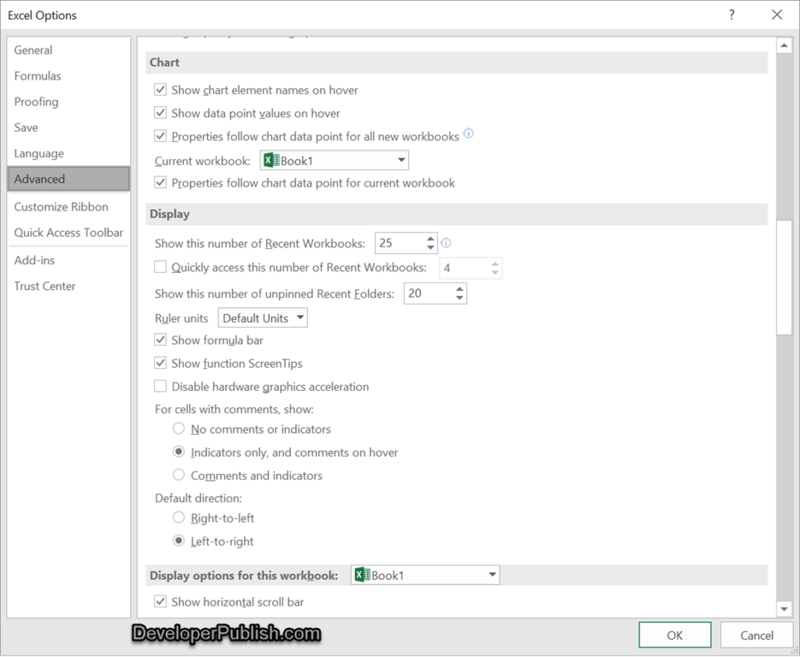 Just Navigate to the View Tab in the Microsoft Excel 2016 Ribbon and uncheck the checkbox “Formula Bar” in the Show section. You can also hide the Formula Bar via the Excel Options dialog. Just Navigate to File –> Options. In the Excel Options Dialog , select “Advanced” from the left sidebar. In the content pane , uncheck the checkbox “Show Formula bar” under the Display Section. To show the formula bar , just enable the checkbox back from the above options.